The twentieth century was a hundred years drenched in blood. Two world wars and mass murders such as Hitler, Stalin, Mao, Pol Pot and others maniacs contributed to the carnage. Famine, abortion, disease and genocide ravaged untold millions. If that was not enough, the twenty-first century was ushered in on the wings of the fanatical Islamic terrorist. Worse, not better, is the summation of human history; worse and getting worse. 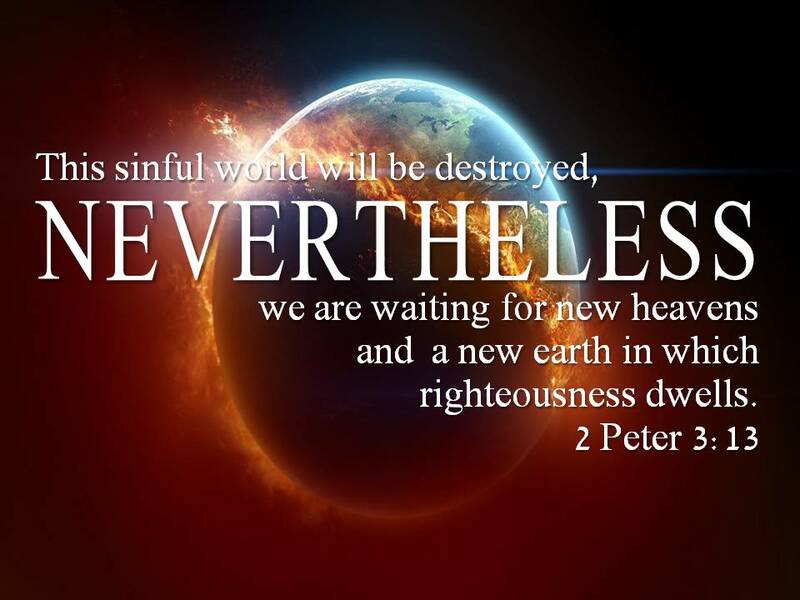 “Nevertheless,” as Christians we have a hope for a better life, not here on this sin infested earth but in a new and better world. Where there are no wars, no sickness, no dying, and no sin. So friends, today, keep the faith and do not lose sight of His promise to return and give you a better life. Obedience; Sharing The Good News, God’s Firm Foundation and Of Christ’s Sacrifice.